“Sharing Japanese food culture to the world.” The series of interviews feature the vision of Pocket Concierge. 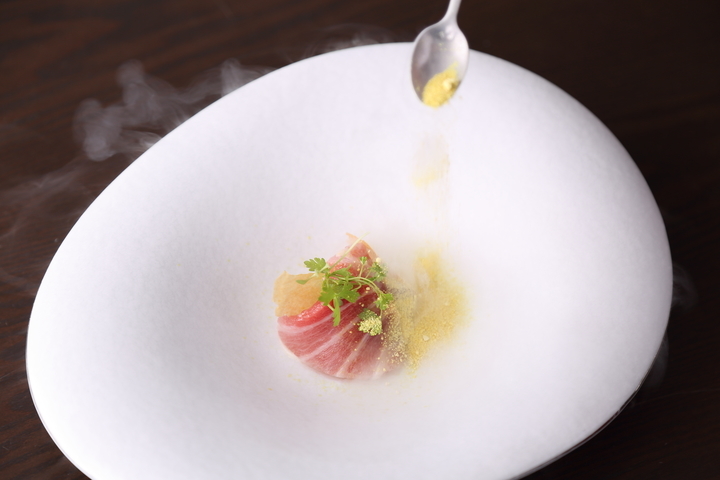 We interview the chefs of the leading restaurants in Japan and introduce their thoughts on the restaurant and their way of thinking as a “top” chef. 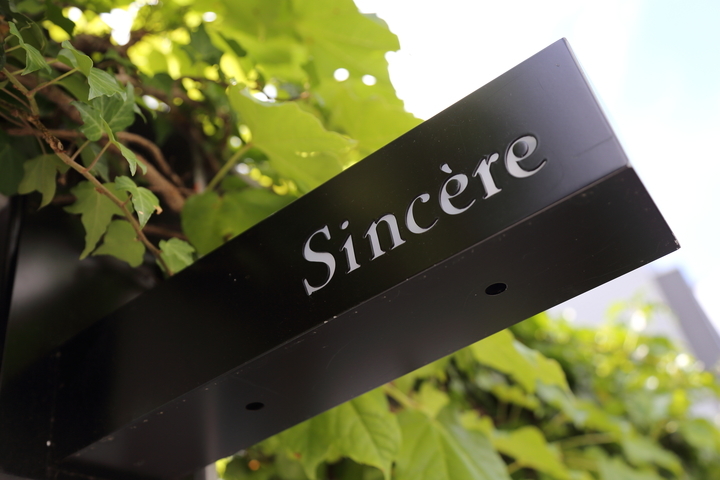 Sincére, since its start just over a year ago, is already so popular, known as an unbookable restaurant. 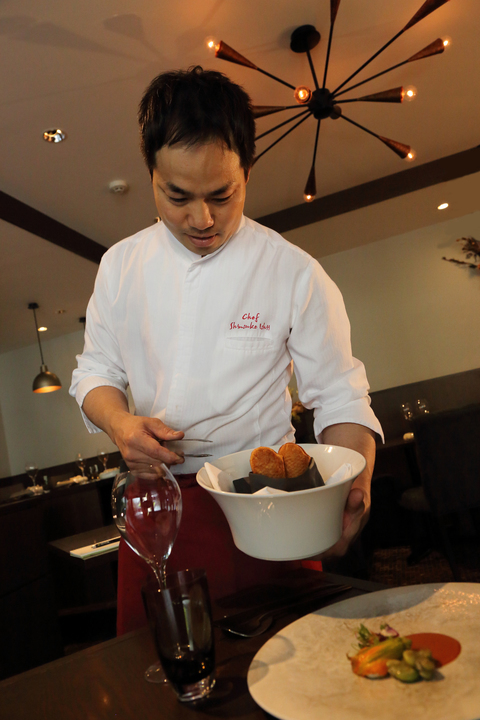 The owner Mr. Shinsuke Ishii has been well-known as the chef of legendary “Restaurant Bacar”. 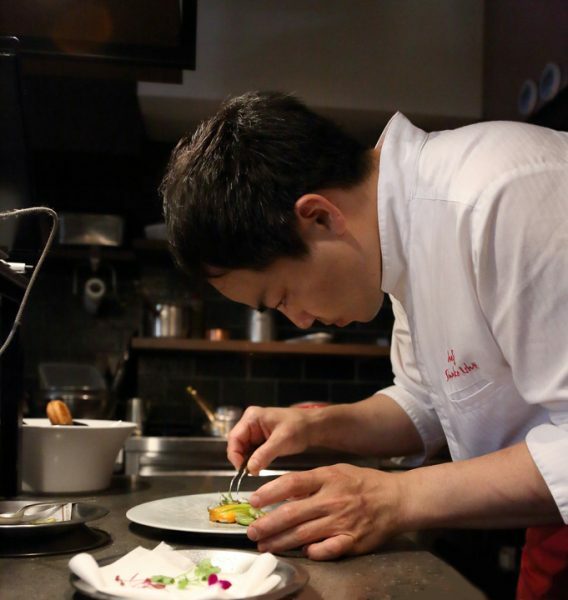 The fans come to this friendly chef for his classical but playful dishes. 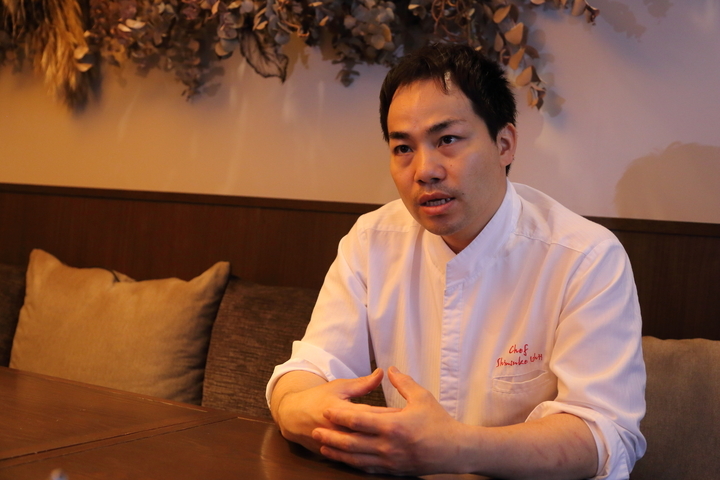 In this interview, he has told us about his life as a chef, and his thoughts on future restaurant industry. ―――Firstly, could you tell us how you decided to become a chef? I should say I have been inspired by my mother. My mother is very good at cooking, and she has always cooked for us many delicious meals. She is the one who taught me to cook. At one birthday party of mine, my mother prepared the sponge, cream and strawberries, and I got to finish my own cake. My parents run a beauty salon, and when my mother was too busy to make dinner, I sometimes cooked for the family. I still remember when my family said, “wow did you make this? This is delicious!” That was the moment I felt the joy of cooking. Another memorable moment is when I made my first chou à la crème. I made it reading the recipe I found at home, and succeeded on the first try. Watching the dough puffing in the oven, I felt the confidence in me. I filled cream in the puff, gave it to my brother and my mother, and they loved it. This experience of successfully baking chou à la crème and my family appreciating it led me to pursue my dream to become a chef. Culinary career obviously requires the love to cook. Such of my experiences are truly being the core of myself. I have always enjoyed cooking for the past 22 years of my career, and I am loving the moment where my customers are enjoying my food. ―――Have you been to any culinary schools before you started working at restaurants? Yes I went to Hattori Nutrition College. The famous TV program “Iron Chef” was most popular when I was in highschool. The chefs in the program were my heroes. Mr Hattori was in the program as well, so I chose his school. 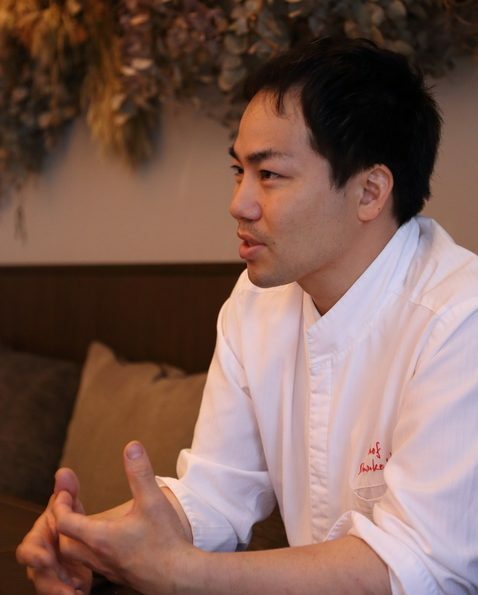 I had a chance to speak to Mr. Nakano at school, who currently is a chef at “Aux-provençaux”. I asked him where I should start if I want to become a French chef. He said I should go to a strict environment so I can learn a lot. I asked where that could be, and he gave me the names Mr. Mikuni of “Hotel de Mikuni” and Mr. Inoue of “Chez Inno”. Those two he said were very strict but highly recommended. So I went to dine at “Hotel de Mikuni” with my culinary school friends. The dishes I had were so unique that I had never experienced, made me wish to work there. I clearly remember the dish, loup de mer à la meunière with buttered warm Japanese cherry. That was the first time I had warm cherries, and having them with fish was even more fresh to me. After dinner we have been able to visit the kitchen. The thermometer was hitting 45°C . It was impressive to see Mr. Mikuni working in such a hot environment, and the scene was shockingly influential to me that I decided to commit myself in restaurant industry. I worked at “Hotel de Mikuni” for 3 years, and I was more than happy to work with Mr. Mikuni. ―――What are the most impressive things that you learned from Mr. Mikuni? Definitely the way he worked. Namely the speed, the management, and tidying. There was a path for the customers right beside the kitchen, and the kitchen was visible to all of the customers entering the restaurant. So Mr. Mikuni was very strict on the appearance, he didn’t even approve of peeling potatoes where the customers can see. Tidying up after each task is a habit I picked up at “Hotel de Mikuni”. Of course Mr. Mikuni himself had the speed. I have met many chefs but Mr. Mikuni is surely the quickest in finishing a task. I believe this is from his 10 years of experience in France, working at many 3-starred restaurants. He must have gone through various scenes in his career. ―――Who has the biggest influence over your current culinary philosophy? I should say it is Mr. Tashiro of “La Blanche”. Especially on flavor balance. Matching out multiple ingredients but leading to a simple effect. He has influenced me on such basis. Mr. Mikuni is one of the most respected chefs amongst my peers. He is definitely known by everyone in the industry. He is very warm-hearted, and my philosophy towards my customers are picked up from Mr. Tashiro. While I was at “Hotel de Mikuni”, I was too busy to properly speak to the customers. We tend to organize orders by table numbers, but Mr. Tashiro referred by customers’ names. “Can you pass me Mr. so-and-so’s dish,” and so on. Watching him, I started to prepare my dishes addressing to the customers. I wouldn’t have been myself today if it wasn’t for Mr. Mikuni and Mr. Tashiro. ――― You have become famous as a chef at “Restaurant Bacar”, the legendarily hard-to-book restaurant. How did you design the restaurant back then? I started “Restaurant Bacar” with my friend Mr. Kaneyama, whom I met at “Fish Bank TOKYO”, where I worked as a sous chef for 2 years. He is an exquisite sommelier, winning the first prize at Jalux Wine Award. He became very famous for winning in the most known sommelier competition in Japan. Having worked at “Fish Bank TOKYO”, a very big restaurant with 150 seats and with beautiful night view, Mr. Kaneyama and I used to chat about starting a small restaurant of ours. When starting “Restaurant Bacar”, I wanted various customers to enjoy, not only those who are accustomed to the expensive French cuisine. One of the reasons is, many of my friends tend to chose ramen over French, as they think French food is too luxurious. I also wanted my parents to visit and enjoy my restaurant casually. Thus I decided to spend money on ingredients and plates, so I could keep other costs low. That way I could provide a Restaurant quality food with Bistro cost. I was not planning to close the restaurant, but Mr. Kanayama became ill after about 6 years, and could not continue to serve at the restaurant. He asked me to find another partner. However it was a restaurant I started with him and changing my partner was not an option for me, as it would change the whole concept of the restaurant. So I decided to close “Restaurant Bacar” 2 years ago. ―――And you started your own restaurant “Sincére”. Could you tell us your story behind it? Still the same philosophy as “Restaurant Bacar” regarding the cost. In order to use high-quality ingredients, I thought I would have to keep the rent low. That was very difficult. I had a hard time finding the ideal place. 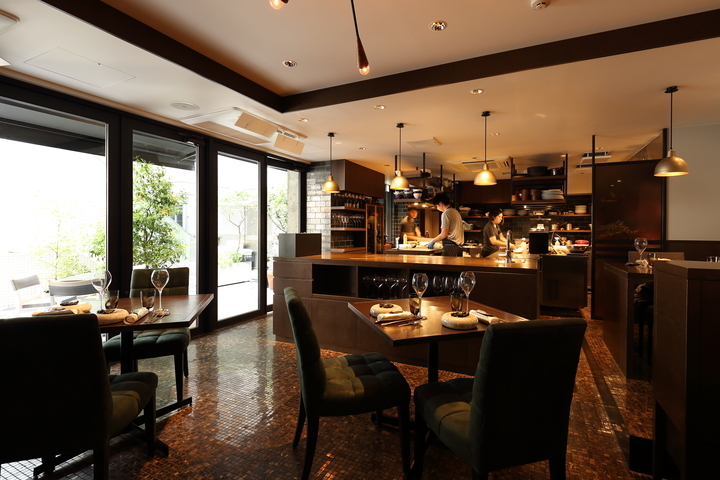 “Restaurant Bacar” was in Shoutou, southwest end of Shibuya ward. I chose Sendagaya, which is at the opposite end of Shibuya ward. I like the quiet residential area and its atmosphere. I am satisfied with the restaurant interior as well. I had in mind a heavy, but somewhat playful atmosphere, and have been introduced to the same designer as the restaurant “Florilège”. The stone floor, the chandelier, the brass on the door, and the color of the knives all work to harmonize. Each piece of the interior contribute to the chic taste. “Restaurant Bacar” had counter seats only, so naturally I became physically close to my customers. I wanted to keep such close distance, thus I allocated tables so that customers can see the kitchen as if they are in a theater overlooking the stage. I myself like to see the all customers enjoying in one big space, instead of each group separated in their private areas. I value such mood, it is what creates my restaurant style. ―――Tell us about your dishes. I prefix a bespoke course menu for each customer. At “Restaurant Bacar”, I used to prepare a course with some various recommended dishes for each familiar customer. At “Sincére”, I focus on the flow or the balance of the course itself, so it is more story-like. The course is printed for each customer exclusively with their names. 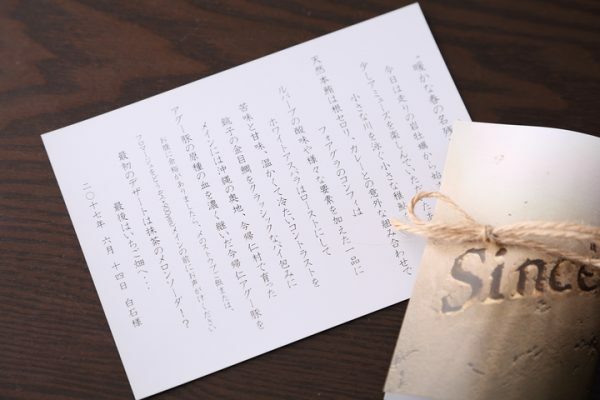 For example, the theme of this season (interviewed in June 2017) is “Memento of Spring and the Scent of Early Summer”. I start the course with spring ingredients, gradually changing to those of summer, finishing with optional square brioche, rice dish cooked in small staub skillet, or other dishes I used to serve at “Restaurant Bacar”. The story-like menu, each with the customer’s name. ―――Could you tell us more on your thoughts behind your dishes? I have a solid essence in my dishes. I don’t prefer too complicated flavor or too artistic appearance. For example, I always serve a red snapper en croûte for the first-time customers. Its appearance is rather playful and artsy, but with classic flavor. My meat dishes are simple, without much playfulness. I would like my customers to discover the new flavor and purely enjoy my dishes. The classical French dish loup en croûte is arranged into a “red snapper en croûte”. 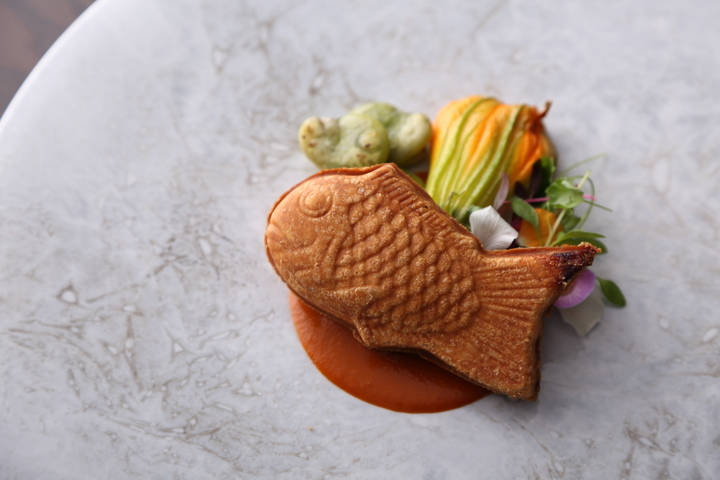 The hot taiyaki (a well-known Japanese snack) is topped, with sauce Américaine. Other ingredients vary by season. Zucchini and scallops were used in this picture (shot in mid June). The hot taiyaki is brought to the table by Mr. Ishii. The finishing is done in front of the guest. 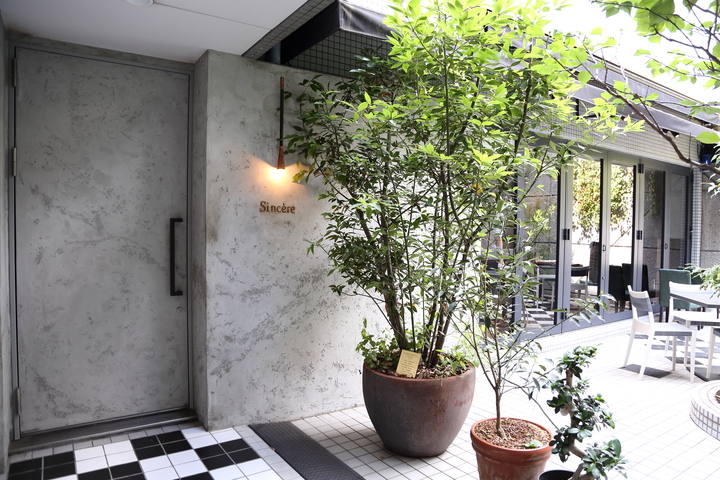 ―――It has been one year since the start of “Sincére”, and your restaurant is already so popular, difficult to book. Are you starting to see your new aims? One year has passed and menu concepts has started to become solid. 80% of the current customers are from my previous restaurant, and therefore I had been considering how much of my previous dishes I should still serve. I am starting to see the fair balance now. Furthermore, I’d like to have French cuisine more popularized in Japan. Italian cuisine tend to be more familiar to many Japanese. I have been wondering if essence of French cuisine could be introduced to the daily table. So I am planning to open another restaurant that serves my soufflé. American pancakes have become so popular and they are now almost common. These restaurants came from outside Japan. On the other hand what I am trying to do is spread the classic French confectionery made by a French cuisine chef, who is Japanese. This way I believe French food would be publicized more. It would be like showing my gratitude towards French cuisine, hoping it would help the cuisine to raise its status in Japan. At the same time, I’d like to have more of the young chefs to join the culinary industry. Young people today don’t have chances to admire the industry, unlike in my generation where “Iron Chef” was so popular. The industry itself need to be more attractive for the promising young people, otherwise we would weaken and shrink, becoming less profitable. Speaking of profitable, I believe it is totally fine for the money to be the motivation of joining this industry. Let’s say I would become very wealthy running many businesses related to French cuisine, and the young people start to admire myself for being rich. That is absolutely a great motivation. We tend to criticize the motivation of wanting to become rich, but succeeding in French cuisine business would bring happiness to both chefs and customers, which is a great cycle. It’s been a year since the start of “Sincére”, I am starting to see real teamwork, now it’s time to go on to the next step. I don’t have strong intention to advertise myself outside Japan, but instead, my dream is to become a respectable, admirable chef for the young ones, just like I admired Mr. Mikuni and Mr. Tashiro. Then I would call that a “success”. ―――I see you have recently been actively involved in contributing to the producers as well. Yes I am currently involved in the “Sustainable Seafood” project. Seafood Legacy supports ethical and environmentally conscious supply chains for seafood businesses. We collect chefs in Tokyo and have seminars to study the problems. Currently Japanese fishery regulation is not strict enough to protect the environment. Tuna and sakura shrimp are the good examples of overfishing. It is especially a crucial situation for tuna. I am seeing not only good tuna but lower quality tuna are overfished to be provided very cheap in supermarkets. In order to positively regulate, we need to educate the consumers on truly delicious tuna, and what we can do to protect them. In my restaurant, I use such sustainable seafoods in my menu. The “Sustainable Seafood” dish. Raw tuna and celeriac, soured with shallot vinegar and calamondin juice. Finished at the table, sprinkling powdered extra virgin oil and madras spice. These are powdered by liquid nitrogen. Also, to show my gratitude towards the producers, I purchase many of my ingredients directly from producers in Kanazawa, Chiba, Wakayama and other areas, instead of from Tsukiji market. I try to acquaint with them so I know who is providing what I’m using, and appreciate them. It is definitely profitable for the farmers to sell directly to consumers than selling them in markets, which conclusively would devalue their products. I would want to support the producers in the way I can. 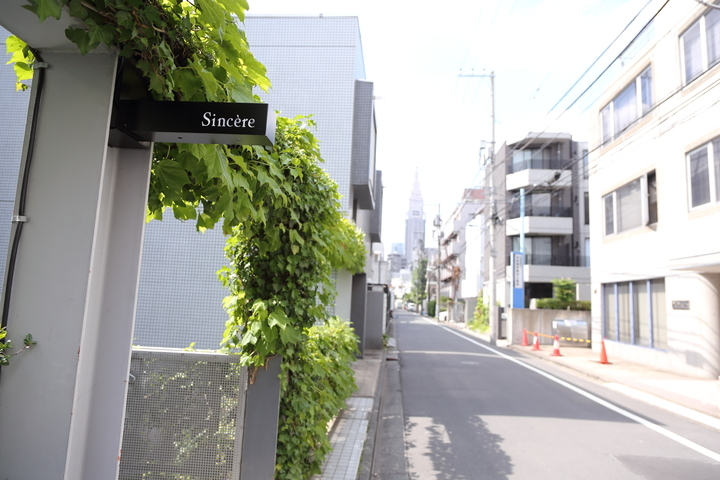 A year has passed since the start of “Sincére”. I now have the best team with great teamwork. We would like you to be more acquainted to the French cuisine through my restaurant. My staff is willing to make your time at “Sincére” a smiling one. Thank you very much. All seats can overlook the kitchen, as if in theater. Interior designed by Esquisse Inc.
Marble door brings out simple but exclusive mood. Terrace seat available depending on weather and season.